How come some people make it and others don’t? 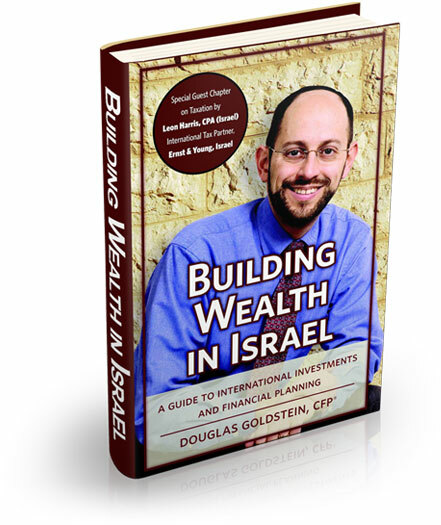 Doug presents a solid overview of practical strategies for achieving financial success in the Israeli market. Written in an easy-to-understand manner, Doug teaches you how to get your financial houses in order and how to create, step-by-step, long-term plans for your wealth. Included is a special guest chapter on taxation by Leon Harris, CPA®, International Tax Partner, Ernst & Young, Israel. "Israel's improving economic situation is fueling the engines of new immigrants. Doug Goldstein's informative book, with its common-sense approach to making smart money decisions, will be an important guide for these newcomers." "Through his newspaper columns, Douglas Goldstein has long been known as the man who makes sense of dollars and cents. His guide is a comprehensive book that’s easy to understand and covers both the basics and some of the more complex topics in investing."